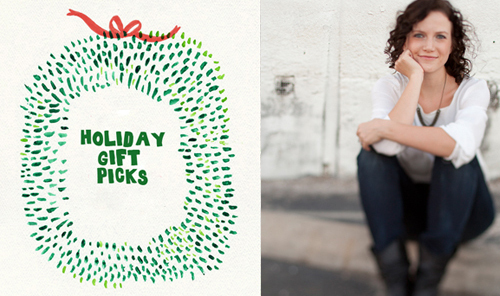 Our special feature of Holiday Gift Picks continues today with guest artisan, Leah Duncan. Leah is one of my favorite southern designers, crafting the most delicious pillows, scarves, tea towels and prints so I was thrilled when she said yes to my request. Leah, "For the gift guide, I was drawn to a lot of tableware and linens so I wanted to focus on gifts for the home entertainer. I hope you like it!" 1. MASON SHAKER $29. Leah, Because everyone needs a mason shaker. 2. CANOE LEATHER COASTERS $64. These beautifully crafted leather coasters by Canoe will make a unique statement and are the perfect combination of classic and rustic to work with anyone's home decor. 3. A NEW TURN IN THE SOUTH $22.99. A modern spin on southern food, this book by Canadian turned southerner, Hugh Acheson is a perfect gift for the entertainer who loves to cook. 4. MARFA BRAND SOAP $30 for box. These Marfa brand soaps are amazing! They will add a perfect touch to anyone's guest bathroom. 5. LEBORED TEA LIGHT HOLDERS, $36. These wooden tea light holders from Lebored are rustic, simple and geometric, all perfect for the modern entertainer. 6. RIFLE PAPER PLACE CARDS $7.50. Rifle Paper Co. is always amazing and these place cards are no exception. 7. LETTERPRESS RECIPE CARDS $15. These vegetable recipe cards by Studio SloMo are classic and her craftsmanship is some of the best I've seen. Perfect for any home cook! 8. UNCORKED GLASS, $44 for 4. These southern made glasses by Uncorked Glass Company are great to mix and match with other dinnerware. Plus, they are the perfect color of cobalt. 9. 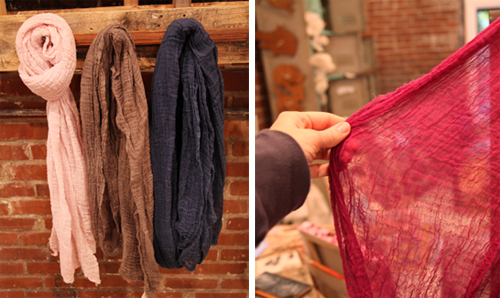 TEXTILES BY CONSTANCE $36. These beautiful linen napkins by Constance Holt are so classic, they will spruce up any occasion. 10. 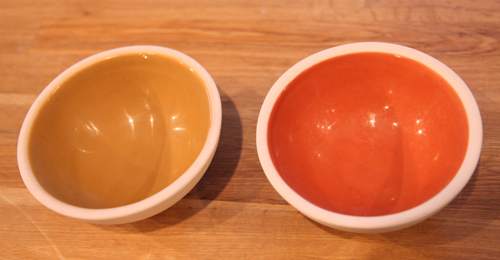 HAAND CERAMICS CLOUDWARE BOWLS, starting at $35. 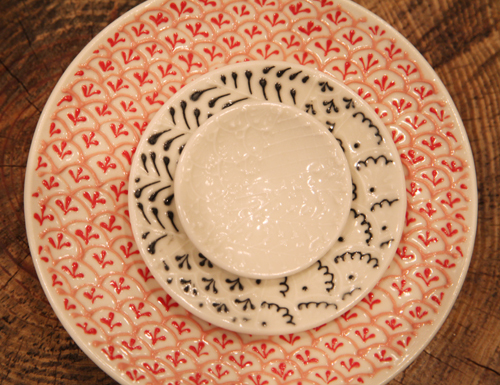 The small size of these bowls make them versatile for any table setting. They're also so beautiful that they could be just for display, as is all of the work at Haand. 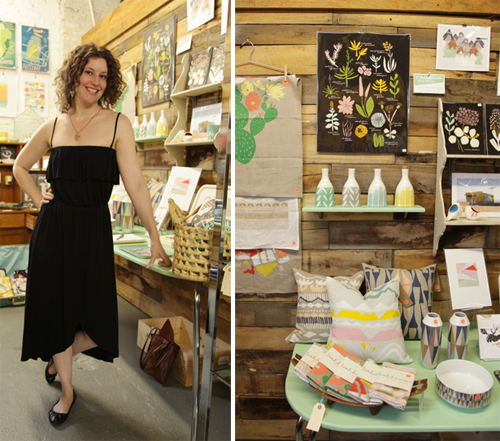 Leah Duncan's work is easy to spot. Her aesthetic is modern, gentle and full of personality, often with a nod to nature. She explains, "I'm very influenced by the natural world. I'm not entirely sure why. I think it's because it's the place I like to go to for my peace and calm." 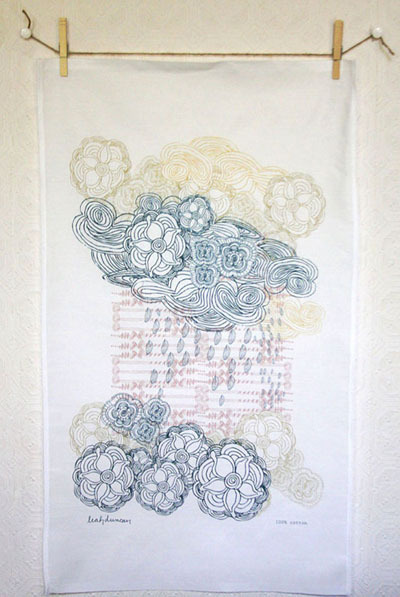 Leah began her artistic career as a graphic designer for an advertising firm, then as a screenprinter assistant. 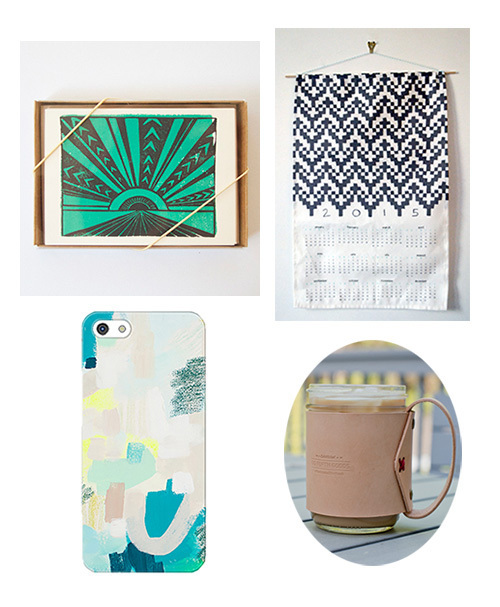 Now, she works for herself, creating all manner of goods for the home, including these lovely prints. One of Leah's favorites is I'll Be Your Swan, (bottom right.) 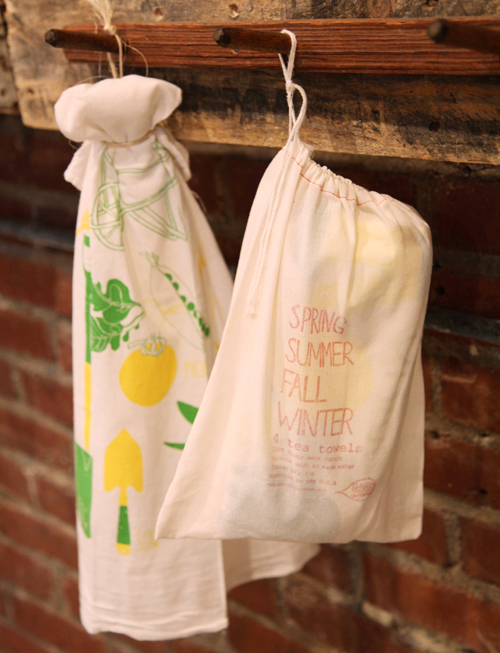 As she shares, "It came out organically and felt so natural to make." 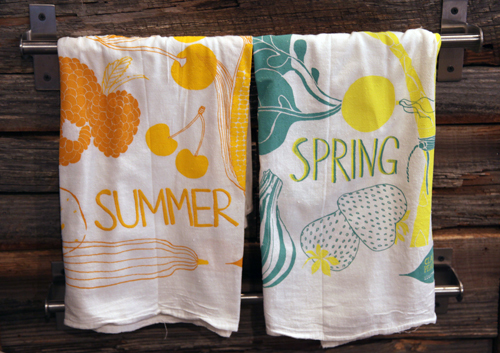 You may best know Leah for her tea towels which seem to keep popping up in the stores I visit. Her work reminds me a bit of Scandanavian design, pretty in its simplicity and color selection. 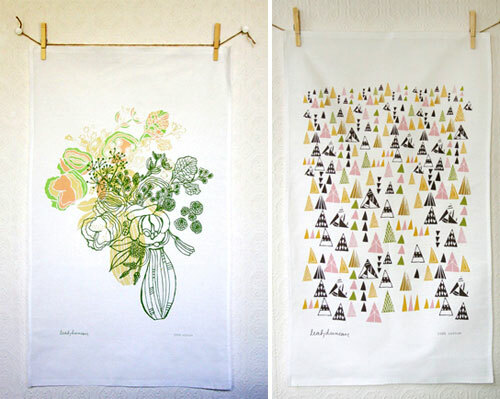 See all of Leah's lovely tea towels, which can be functional or displayed as art, here. 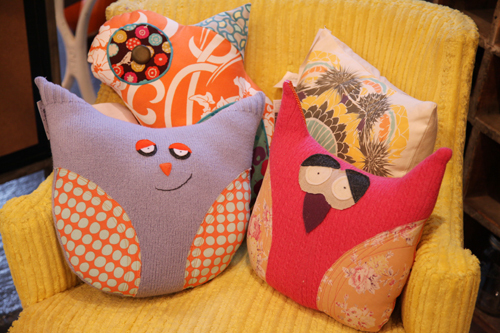 I love that Leah also creates pillow covers. Made from linen and cotton, her pillows allow for a 16" x 16" insert which you can find at most fabric stores and I think I've seen some at Target as well. 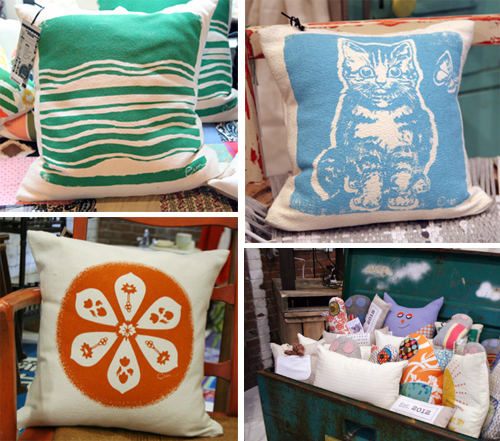 Find all her pretty pillow options here.